Jaunty piano music, stunning costumes, and a distinct lack of health and safety – Silent films has it all. There are thousands of silent movies out there, ready to be watched. But where do you start? What are the best silent movies for beginners? Silent Movies can be difficult to get into. There is an idea that old time movies are scratchy and jumpy, and this puts people off watching them. Some unrestored ones are like this. When accompanied with the right music and atmosphere, silent films can send a shiver down your spine. Silent movies feature some of the most dangerous stunts, the funniest jokes and the some of the saddest scenes. 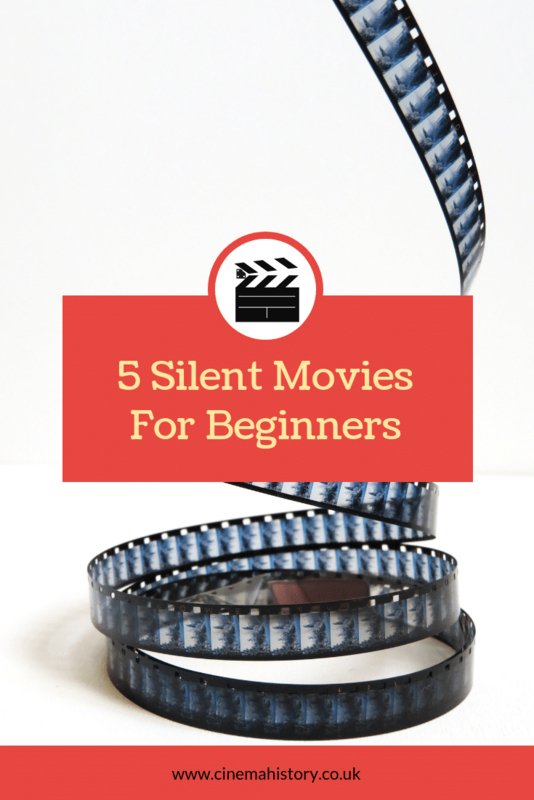 If you want to give a silent film a go, here are some great movies to get you started. Steamboat Bill Jr is a classic Buster Keaton film and includes one of the most famous silent movie stunts. The film features a scene where an entire house comes crashing down around Keaton. There were no camera tricks with this shot. The house did fall around him. The only thing telling him where to stand was a small nail on the floor. Silent movies weren’t all about comedy. Nosferatu is a great example of horror and avoiding copyright. F. W. Murnau desperately wanted to make a film of Bram Stoker’s Dracula. At this time though, the book was still protected by copyright law. This did not stop the studio. They just changed the names. The film features some beautiful cinematography and some very haunting scenes. The film has gained a cult status and references pop up in many horror films. Did you know Alfred Hitchcock made silent movies? This very early Hitchcock film is Hitchcock’s first thriller and stars “Matinee Idol” Ivor Novello as a suspected serial killer. The film saved Hitchcock’s career – his previous movie had constant problems during production and producers ending up shelving it after a screening. Charlie Chaplin’s standout Motion Picture. The film was one of the first films to combine Comedy and Drama as significant themes of the movie. Most studios believed that sticking to one genre guaranteed success. Many film critics site that the film reflects Chaplin’s upbringing as a poor child in London. Screen legend Mary Pickford said: “The Kid is one of the finest examples of the screen language, depending upon its actions rather than upon subtitles”. If you’re not a fan of reading screen titles, then Chaplin is a great place to start. A very early silent film, and one of the most pirated! A Trip to the Moon is a beautiful and quirky silent movie, with a shot that will be very familiar, especially if you are a fan of The Mighty Boosh. The Trip to the Moon has two versions online, a standard black and white one, and a hand coloured one. The hand-painted one was commissioned around the time The Trip to the Moon’s release.